For those who grew up on James Cameron’s 1986 blockbuster Aliens, it’s impossible to forget the intensity and terror as Newt and Ripley fought an infestation of xenomorphs and the emotional rollercoaster of the motherly feelings Ripley develops for the terrified little girl. Now, writer and artist Gabriel Hardman (storyboard artist for Batman: The Dark Knight Rises, Logan, Dawn of Planet of the Apes) weaves an Aliens story harkening back to the classic film with the terrifying coming-of-age story Aliens: Dust to Dust. 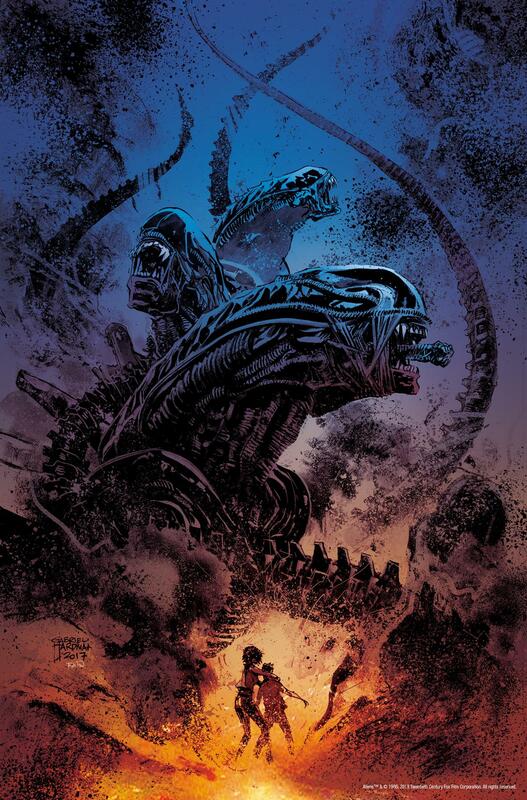 The spine-tingling variant cover is by artist Carlos D’Anda (Star Wars).